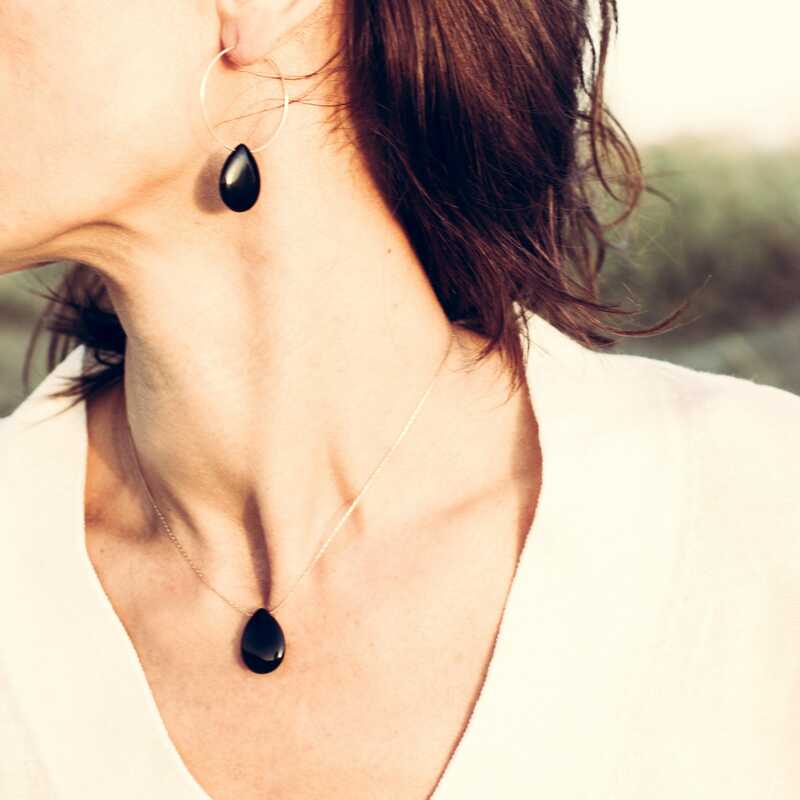 This minimal statement necklace, with its delicate onyx drop, is perfect for wearing alone or for layering with other longer necklaces. 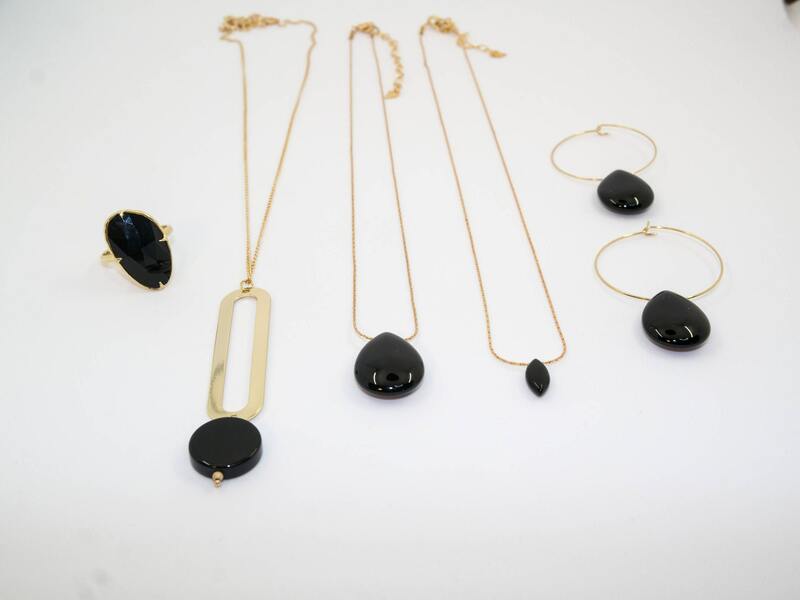 It combines perfectly with a wide range of earrings, bracelets and rings of our Black & Gold collection. 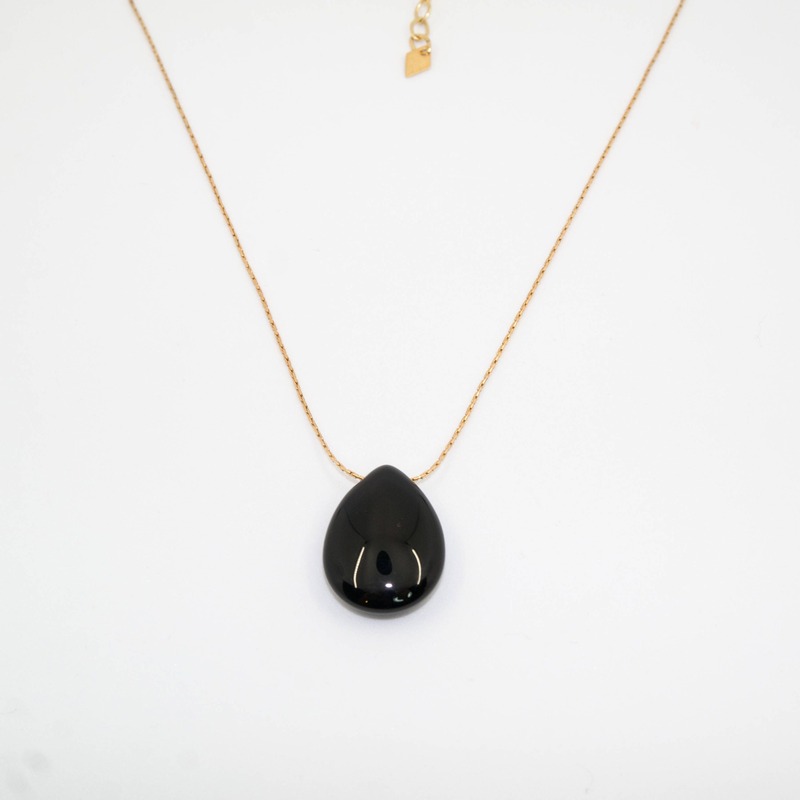 • 14kt Goldfilled chain and little onyx teardrop. 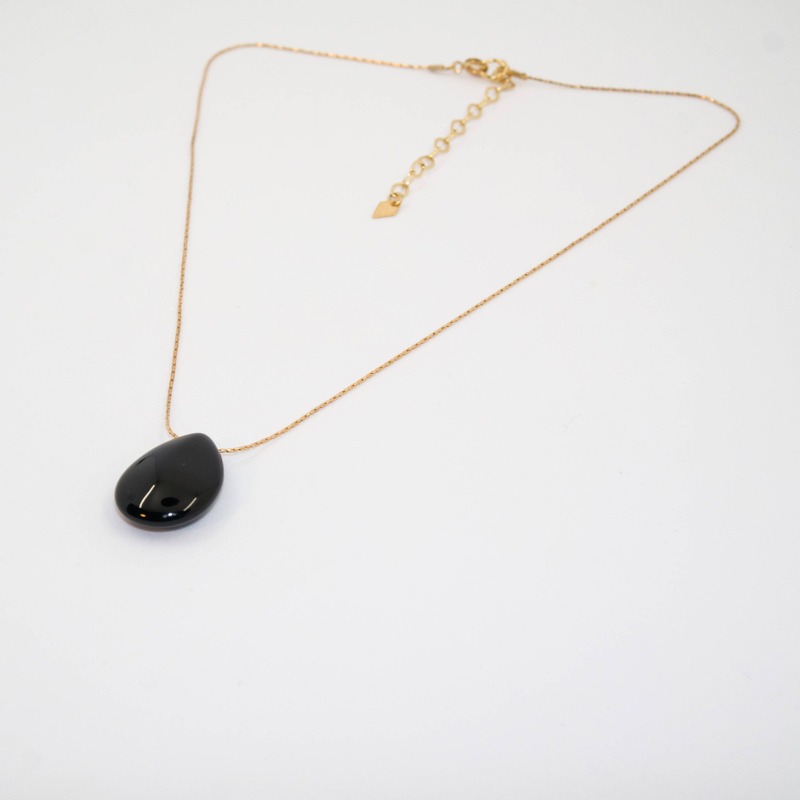 • Necklace measures 15+ 2,3 inches. If you have any questions or requests about the fit of this piece please don't hesitate to contact me! 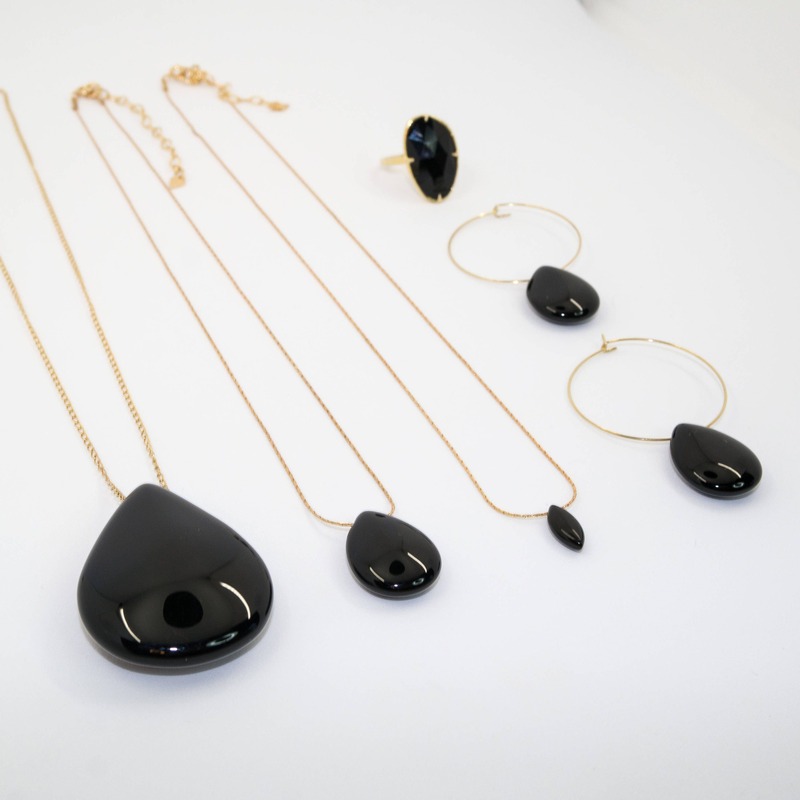 Beautiful necklace exactly like I wished for. Swift delivery nicely packaged.